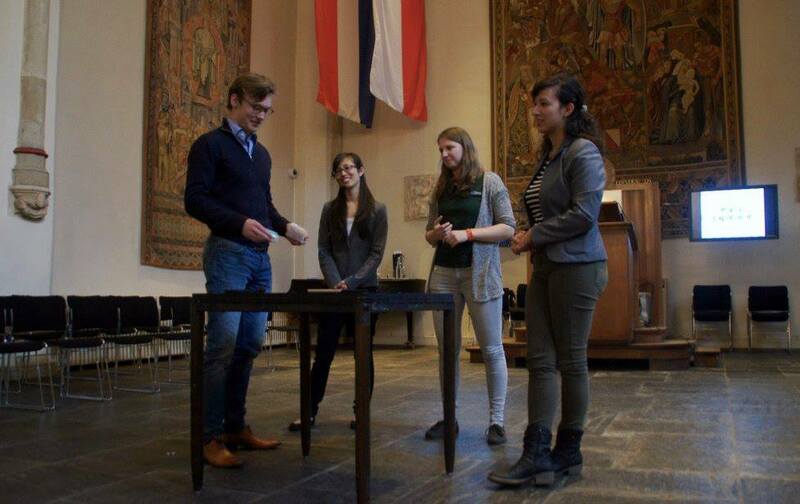 On 19 March in the Academiegebouw in Utrecht, Tricia gave a presentation about Haptics at the Medisch Interfacultair Congres 2016. At this conference for Dutch medical students and interns, she and the other invited speakers discussed the latest developments in medicine and human enhancement – ranging from prosthetics to skull transplants to robot-assisted surgery – along with the ethical questions that come along with such technology. Through a simple exercise, students experience the importance of proprioception. These three volunteers are fooled by the “size-weight” haptic illusion!